@TheArcanist its 2 mana + the beast's mana. Then, that beast has to die, and after it dies, you get another chance at discovering a new one, then repeat. 2 mana seems to be more balanced. I would say this is pretty OP. 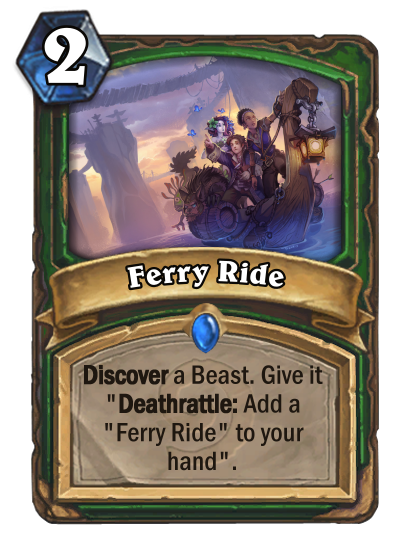 Not all of the decks run Silence effects, making this an infinite value card just like Deathstalker Rexxar's Hero Power. Should be like (3) - (4) mana.